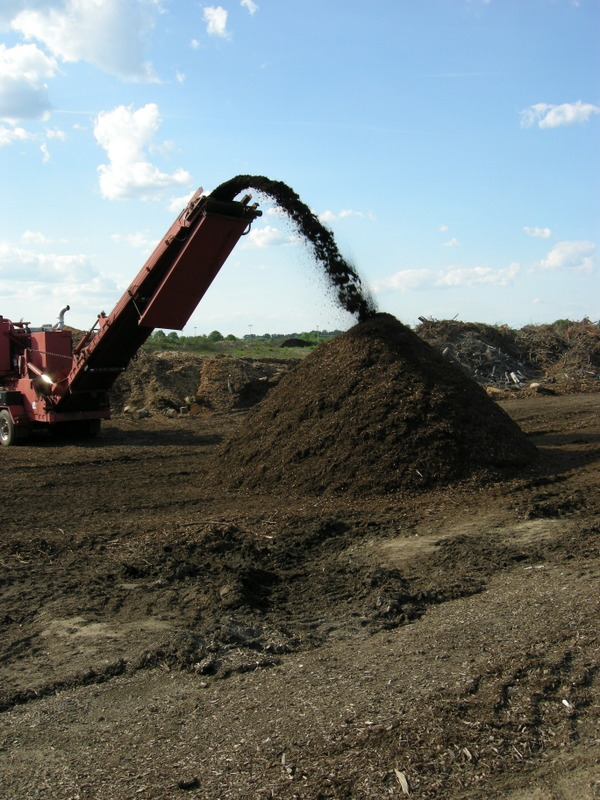 Do You Know Where Your Mulch Comes From? A pile of freshly ground mulch, but what’s in it? My friend and longtime customer Caroline Moriuchi invited me for a guided tour of her family’s mulch production operation, M&M Mulch in Moorestown, NJ. I jumped at the chance because I always wondered how mulch was made. What I learned from my trip plus subsequent research is that if you don’t know what your mulch is made from, you should. 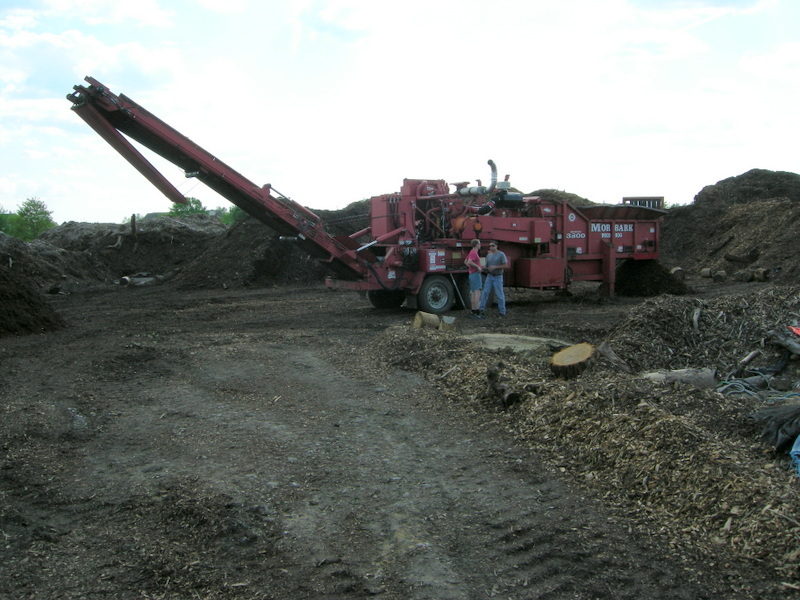 As you can see in this photo, M&M Mulch accepts only wood chips and brush for grinding into their high quality mulch. 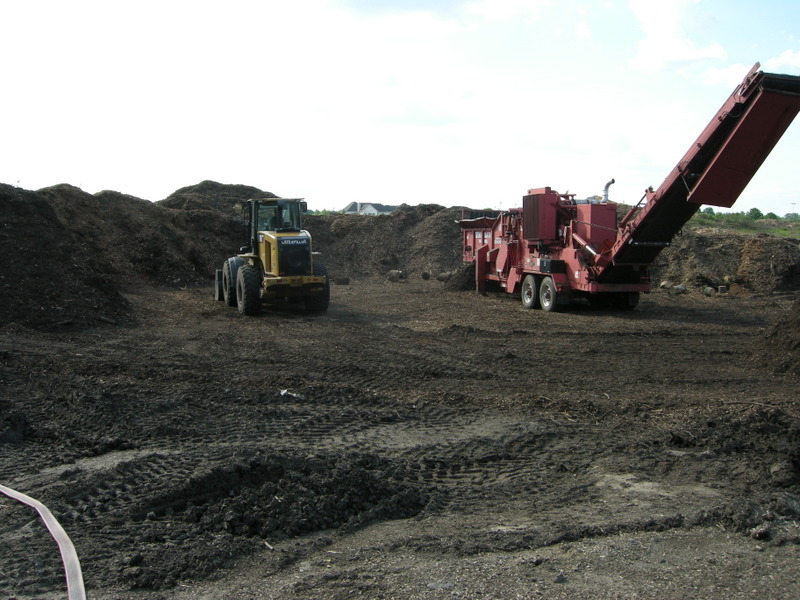 M&M Mulch, which is run by Caroline’s son Seiji with the help of his father and brother, has a company policy of using only wood chips from tree services and brush from landscapers for grinding into mulch. 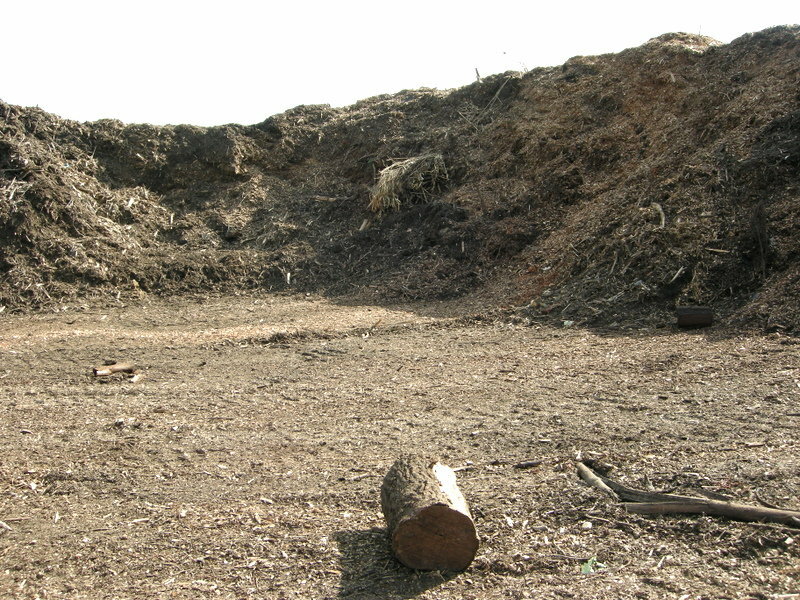 They will not use wooden pallets, scrap lumber, or parts of demolished buildings to produce mulch, although this is common practice in their business. For this reason, they do not produce red-dyed mulch because it can only be made from processed lumber like pallets. I am going to show you the Moriuchi’s mulching operation, but first I want to outline some of the dangers from pallets. You should do your own research, but, after reading many articles, I would never use commercially produced mulch without knowing what it was made of. The best article on the subject is in Natural Life Magazine, to read it click here. Basically, a lot of mulch is made from recycled shipping pallets. If you drive down Interstate 95, you can see the huge pile of pallets waiting to be ground into mulch near Wilmington, DE. A high percentage of pallets are contaminated with bacteria, including e coli and listeria, from the food transported on them and from improper storage. They are often made from “engineered wood” which is treated with formaldehyde. The pallets themselves are often treated with dangerous chemicals, although this is being phased out. If they come in from abroad, they are fumigated with toxic fungicides and pesticides, and toxic substances often spill on pallets during transportation. Wood scraps and demolished buildings pose similar dangers from toxic applications like lead paint and pressure treated wood. 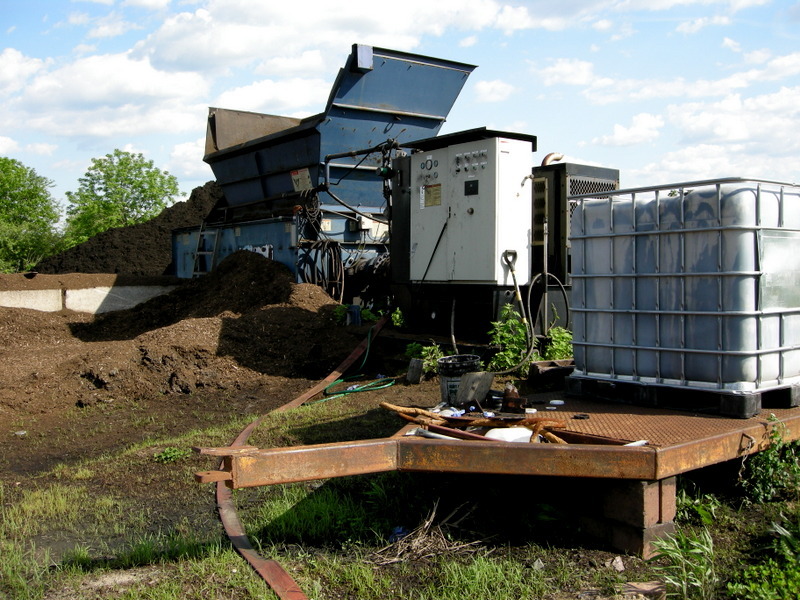 The mulch production process starts with this very big machine, the grinder. 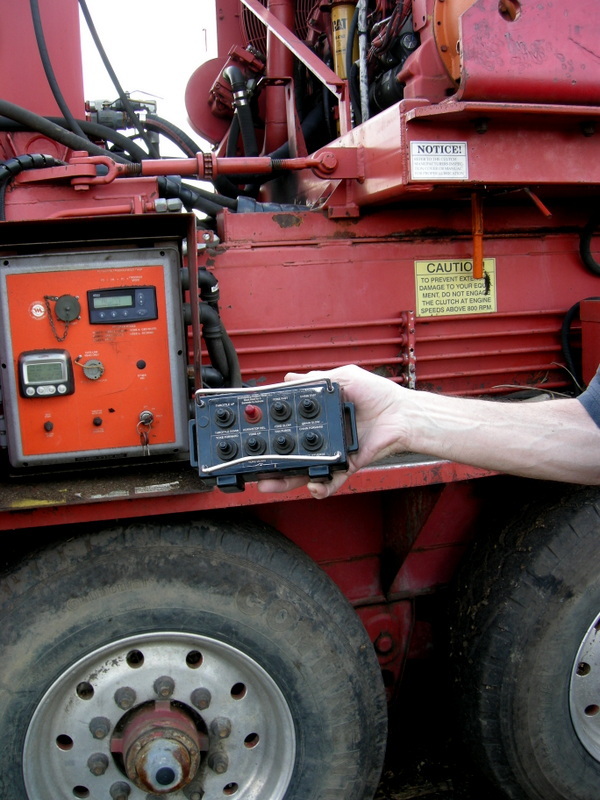 The grinder is moved around the production yard using this remote control. 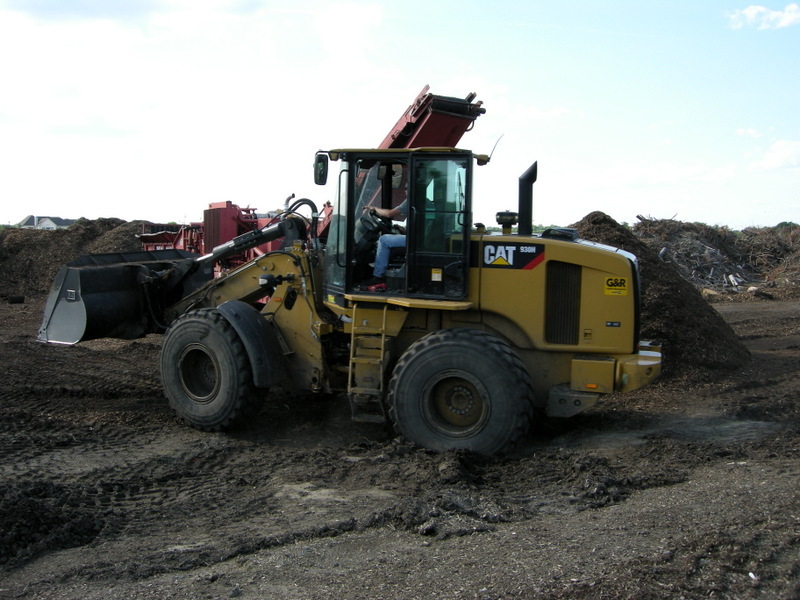 A front end loader is a crucial piece of equipment. 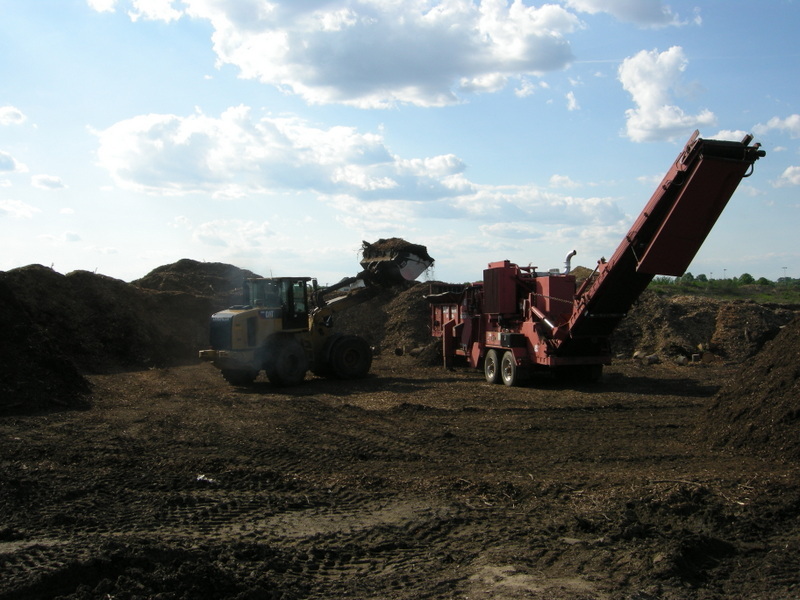 The loader scoops up the wood chips and brush from the giant piles waiting to be ground. The raw material is deposited into a hopper on the grinder. 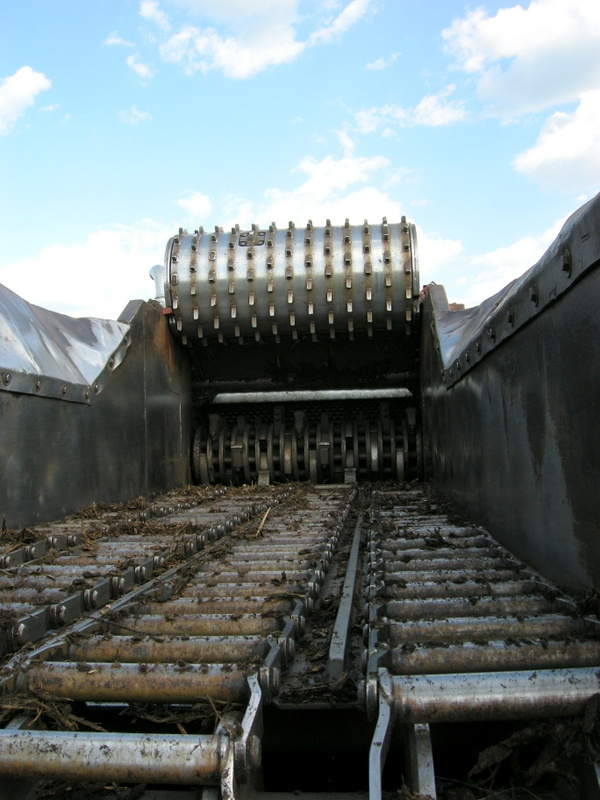 Conveyor belts inside the grinder feed the grinding teeth. 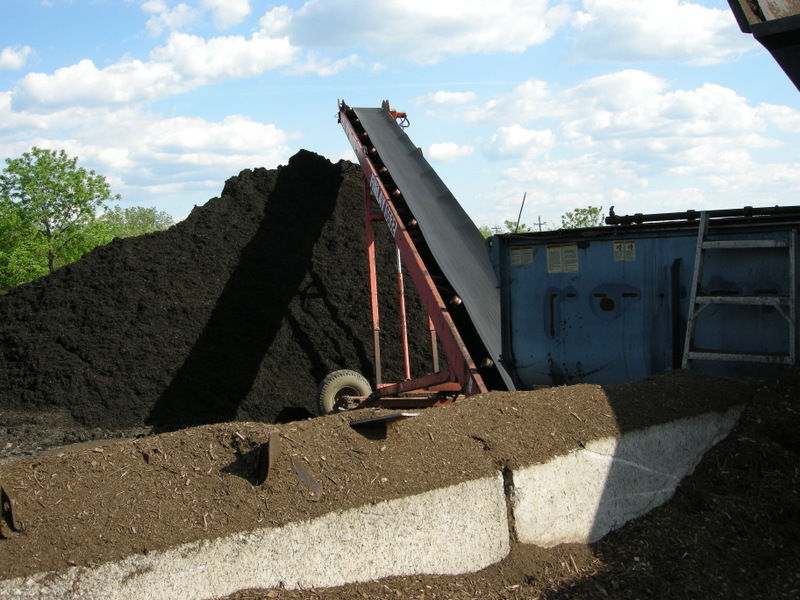 The grinder produces a giant pile of mulch, but the process isn’t over because most consumers demand that their mulch be dyed. I am not sure how this process started or why dark black mulch is considered more attractive than natural brown. I personally think black-dyed mulch is hideous. These paddles mix the ground wood with carbon black to make it black or iron oxide to make it brown. 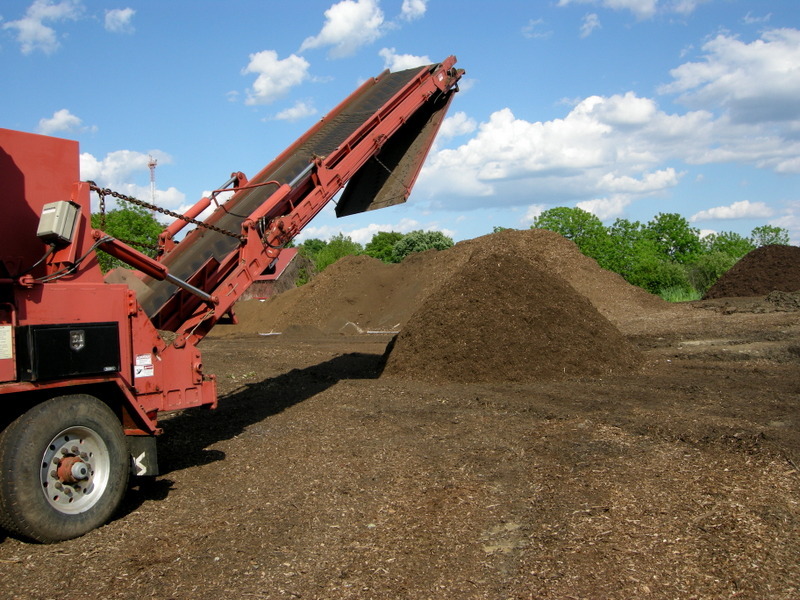 M&M does not produce red-dyed mulch because it can only be made from pallets. 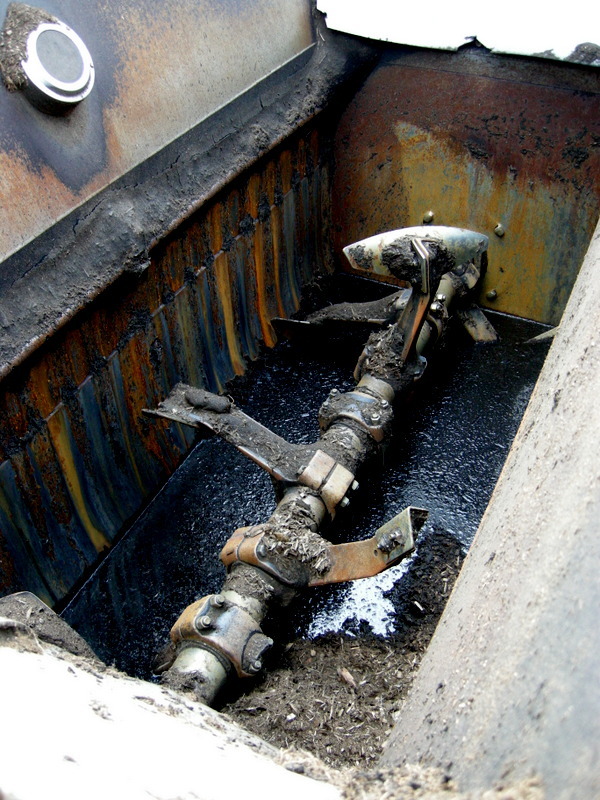 Black-dyed mulch emerges from the dyeing machine. 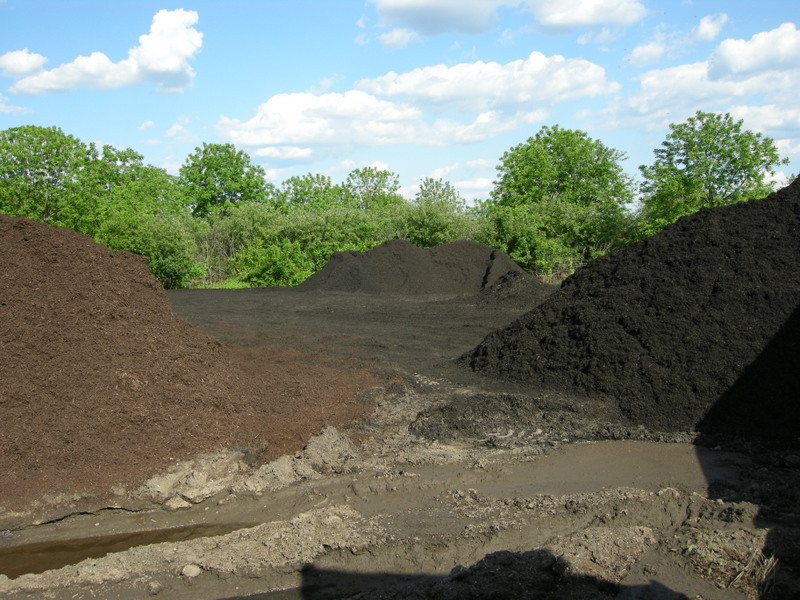 Black-dyed mulch on the right, brown-dyed on the left. 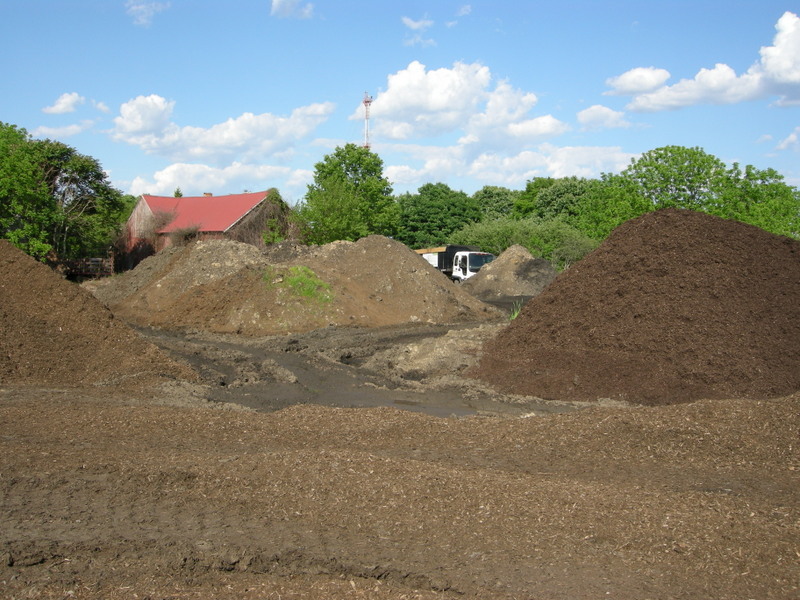 Brown-dyed mulch on the right, un-dyed mulch in front and on the left. I think gardeners should question why they need dyed mulch. Thanks so much to the Moriuchis, especially Seiji who answered all my questions, for the fascinating tour. 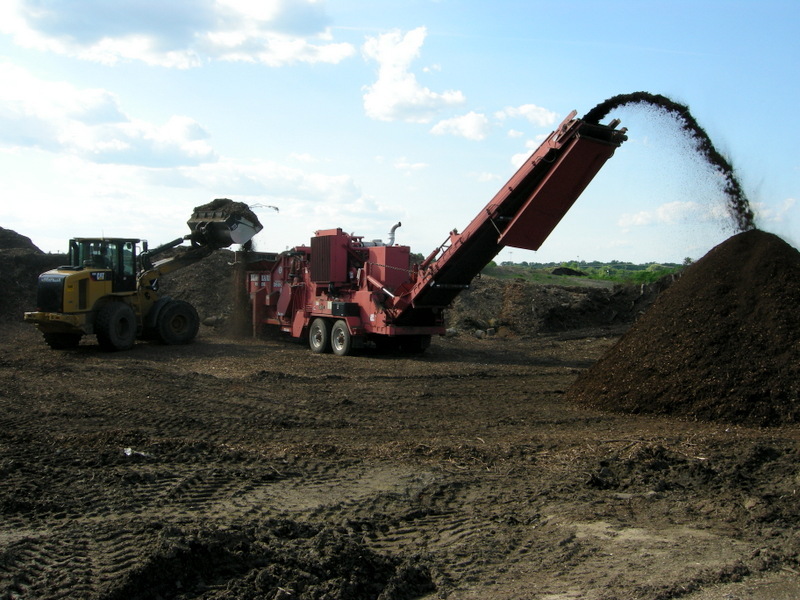 If you live near Moorestown, New Jersey, you are very lucky to have a safe source of mulch nearby produced by the fourth generation family farmers at M&M Mulch, 400 Hartford Rd, 856-234-2394. They deliver free to the Moorestown area and for a fee to other parts of New Jersey. Who knows maybe they can be enticed to cross the river to Pennsylvania! Nursery Happenings: The 2014 Miniature Hosta Availability for mail order and pick up at the nursery is here. Your final chance to shop at Carolyn’s Shade Gardens will be during our open hours on Friday, June 13, and Saturday, June 14, from 10 am to 2 pm. We close on June 15 and reopen around September 15. You can sign up to receive notification emails by sending your full name and phone number to carolynsshadegardens@verizon.net.